The Undertaker wants to take it easy in 2019, because his 2018 schedule was far too hectic. The Dead Man addressed his 2018 dates in another out-of-character interview with pastor Ed Young of Fellowship Church in North Texas. 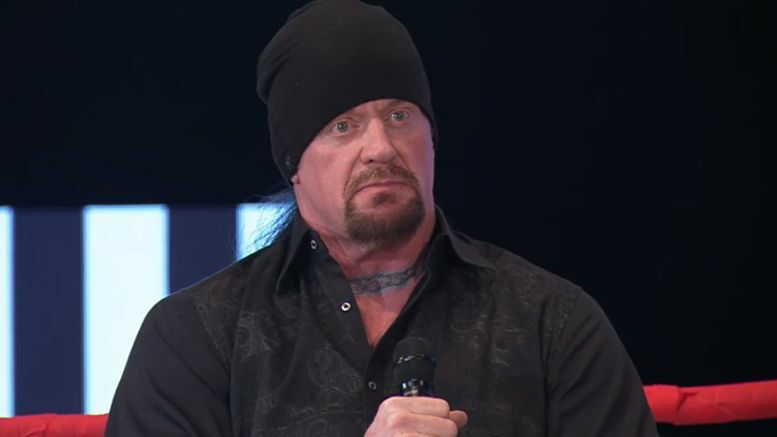 Taker mentioned that although he’s in a position to pick and choose his own dates, he still overdid it in 2018. “Right now my schedule — obviously, I’ve been around for a while so I’ve got a little sweat and blood equity built up so I get to pick and choose where I want to go and when I want to go,” he said. Certainly doesn’t sound like he’s done with wrestling anytime soon. The full interview below is worth watching — Undertaker talks about becoming religious, his marriage with Michelle McCool and he even gets emotional at one point.